Alchemy: The Process of turning a Seed into a Full Manifestation. The Soul from lead to gold. This is the building of Solomon’s Temple- the Light Body, or Rainbow light body as described in Buddhism through the Diamond Way. These are the Mechanics of Enlightenment, Anointment, Christ / Krishna / Cosmic Consciousness. The Raising of the Kundalini and sometimes, the Western Medical disease Bi-Polar Mania. Alchemy shows in pictures and elements- the map of the mind. Micro Cosm, Macro Cosm. 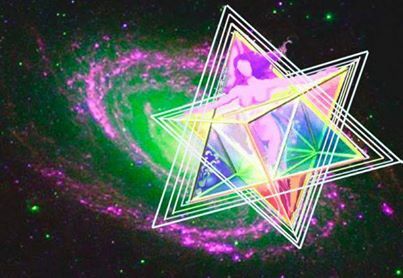 “The Universe is Mental In Nature” ~ Kybalion. Heal Your Mind, and You Heal God. Carl Jung– Anima/Animus: Reading books on Wicca- particularly “Love Magick” by Laurie Cabot– introduced me to Carl Jung and his Anima/Animus theory. I believe Jung was an Interpreter of Ancient EASTERN mysticism. Jung broke down in “scientific” terms the psychology of the MIND (not the brain). Female Psyche within Male Mind. TAO. I have had the Master Teacher Spirit Guide HERMES, my entire Incarnation in this body. 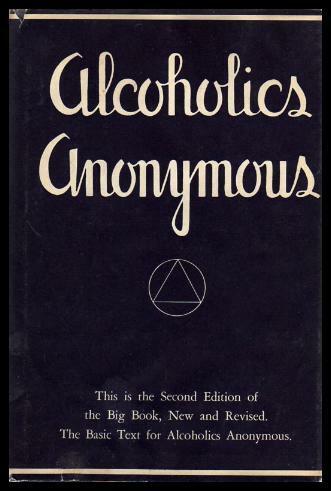 In my Early 20’s I had first Contact with this guide in a way I could Recognize and Understand as a Spirit Guide. When I had my First Kundalini Awakening at age 30 I began full conscious contact (visions and visitations, channeling) with both My Higher Self (oversoul) and Hermes my Master Guide. Both of them came to me from on high, with Great revelations of love and insight. I had been a psychic for about 15 years at this point, but now I was connected to Source, the All/One and downloading mystical gnosis. I have now had full conscious contact with Hermes and my Higher Self as well as Many other Hosts in Heaven for over Ten years. Twin Flames: The Higher Self has atonement with the physical incarnated self. These two “Realized” or whole individuals come together in union on both the Heaven Realms and the Physical Realm. As Above, So Below. Kundalini worked through my energy, cleaned my trauma and blockages, through pure energy, visions and soul fire. The clearing taking over 10 years, in an epic effort to fully anchor and embody the higher self, within the ‘animal body’. I am in the final stages of integration (2018), as my growth is congruent with Earth vibrations (Schumann resonance). As Earth raises in frequency, I will be able to blossom and expand. I can’t wait to take this rainbow lightbody for a spin! The Symbol my Animus took on at his Enlightenment was Hermes, as the David Statue. My Animus became Enlightened, a Co-Enlightenment of Myself and my Inner Other Animus Psyche. I saw Hermes, the inner twin climb a mountain, and enter a cave near the top. 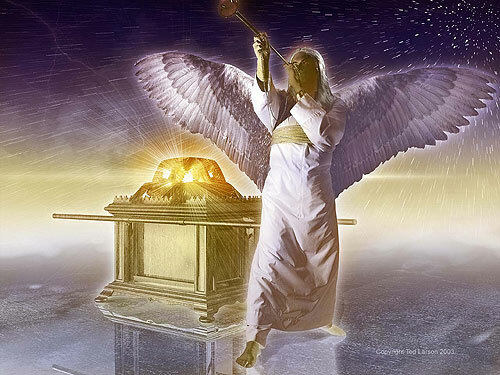 There surrounded by stone and golden flame, he met with his “Higher Self”, the God Hermes. At that moment, Gnosis of oneself as a God, transforms the self into Divinity. Psychologically the inner other, and myself had now come to the same space, God Realization. After the mental congruence with the twin, we began to work on the heart. Through great striving I became One, Whole Hearted, with the marriage then Taking Place in My Heart. The traditional marriage in the heart, between the masculine and feminine forces took place within me as Kundalini healed me. I saw and experienced the reunion of Radha and Krishna in my heart temple. 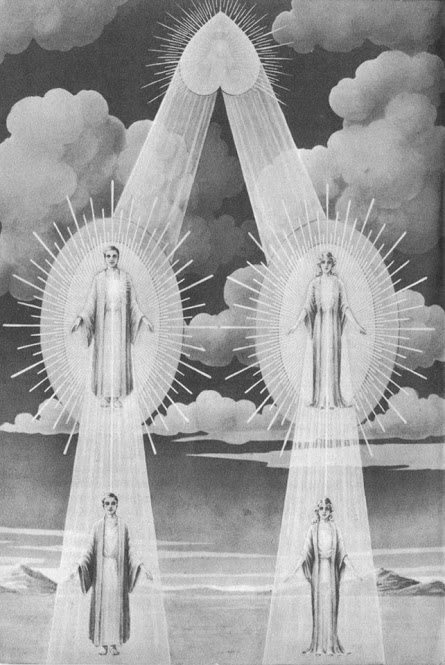 Love from left to right, as a light beam force, connected to my crown, and higher “astral” bodies. From a pure realm, the light in my heart opened to a portal of universal, Kosmic, true love. This Alchemical romance, of God/Love contains all flavors of enduring devotion. I found myself more content to sit, and allow, to observe, and to be. Beauty spoke to me, in the silence of white light. I was seduced by reality itself. Now I knew how Rumi felt. Hermes showed me many visions of he and I as we Integrated our Merkaba‘s on the Higher Realms. I have seen visions of wedding rings, hinting at marriage of the Spiritual “Twins”. A love that grows- a soft, slow, trusting love that is cultivated in the soil of the soul. Not a rushed trip to fantasy land to fulfill some empty egoic need. Nothing of the kind in fact. This is the Sacred Marriage, that I have not read about or discovered in any form of Media. Traditional alchemy has the goal of self integration, attainment of the ‘Merkaba Rainbow Lightbody’ and enlightenment (beyond ego). That is NOT our end game. Hermes instructs me, there is much more to discover in Tantra. I think what is So difficult to understand about Alchemy is that – It HAPPENS to you. If you had shown me Alchemical texts, before my Personal Journey through it, I would have had limited understanding. Yet, After you have Been Through the Process, you can Personally and DEEPLY identify with the Symbology, because it was experienced (Gnosis). Today I saw a Double Peacock– I was meditating on my heart and the Alchemical marriage that had already taken place within about three years ago. I saw in my heart a “Wood Cut Out” the method used to “stamp” Alchemy art in antiquity. The Wood cut out depicted two birds in the Heart, I knew the birds were peacocks because of the Three Circles above each of their heads. SO Double Merkaba, Double Peacock, and I keep having visions of a man I have never met. The Visions started around 2010, and have only grown in story line and frequency. “The Peacock’s Tail is the central experience to this process, the point of inner transformation, which arises from a true consciousness of the astral body. We note also that the other stages mirror each other. Thus the Black Crow and the Phoenix are related as beginning and end of the process, but in a deeper sense they are both connected with death-processes. The dying to the senses of the Black Crow stage is ultimately transformed into the triumph over the death process of the physical, that is pictured by the Phoenix. There is a further mirroring of the White Swan and Pelican stages. The White Swan is an experience of the etheric forces in one’s being, and this is later transformed into a conscious mastery and outward expression of these life forces. Without the VISIONS I experience I would Never Know to Research these Specific Topics. HOW DOES MY TWIN MANIFEST? As all saintly souls- I have spent some past life times without the touch of a lover. Sexual union is never the end goal of making time with someone. I have always sought out my mates. Karmic mates have been the whole of this current incarnation. However long or brief the relationship, there was a lesson, there was a contract, there was heartache, and evolution. I have had so much information from my Fable Tale Visions, My Movie Channeling, Things shown but not understood, for me to piece together like a Puzzle. Like editing a movie that is all out of order. Levels of Closeness and far-awayness. “Three o’clock in the morning – It’s quiet and there’s no one around – Just the bang and the clatter – As an angel runs to ground. Just the bang And the clatter As an Angel Hits the Ground.“ STAY (FarAway So Close) U2. An Alchemical Reference to the Vibrational Relationship Between Hermes and I. He placed a rainbow waterfall, into my heart, and I could feel it cleansing me with light and song, tones. I saw my heart as a golden Pear with a violet energy field around it. This was the beginning of “New Lessons”, about a the twin in the physical realm. I am being taught, the final Hieros Gamos of alchemy involves twins transmuting into a new type of being. This is obviously a deeply esoteric topic, involving the “new human”, described by Pandit Gopi Krishna. As Earth raises in vibration, the dimensions merge, and evolution occurs. A deeper mystery of this evolution, is the transmutation of the Divine Twins. Notes: “The spirit spouse is one of the most widespread elements of shamanism, distributed through all continents and at all cultural levels. Often, these spirit husbands/wives are seen as the primary helping spirits of the shaman, who assist them in their work, and help them gain power in the world of spirit. The relationships shamans have with their spirit spouses may be expressed in romantic, sexual, or purely symbolic ways, and may include gender transformation as a part of correctly pairing with their “spouse”. Shamans report engaging with their spirit spouses through dreams, trance, and other ritual elements. In some cultures, gaining a spirit spouse is a necessary and expected part of initiation into becoming a shaman. Evidence of spirit spouses may be seen in non-shamanic cultures as well, including dreams about Christ by nuns, who are considered to be “brides of Christ“.” Again! Ghosts asking again- I suppose what every child wants to know- What is it that makes us Magik? Hungry Ghost is a spiritual Leper. Visual. Western Light Workers maybe have hungry ghost issue. Obviously- I am beginning to understand this issue. Ancestors- Living People “Higher Selves” are usually their Subconscious self, Ego No Spreken ze Dutch. Sleepy Higher Selves can make Hungry Ghosts in the After Life. What gives Hungry Ghosts Power to Interfere in Our NO FEAR Consciousness? How come Hungry ghosts cannot learn through their own experience? If you get caught in the fiction / friction, taking your role as your soul. Fallen to the flesh even after death, that would make you a Krispy Kritter, A demon, but not really- Really it’s just a sick ego. We have cures for that. 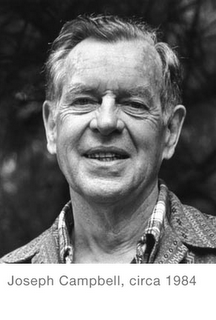 So Hungry Ghost is a free will choice- “THEY would not feel their Edges” Pema Chodron. Hungry ghost, Demon, Fancy names for a not healed ego… nothing to fear, no boogieman. 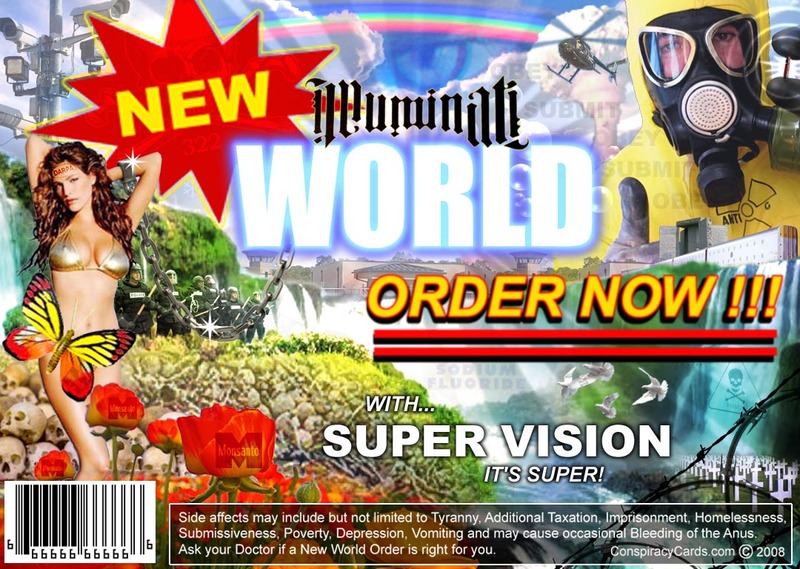 The *Breaking News* from the spirit world requires some back ground. 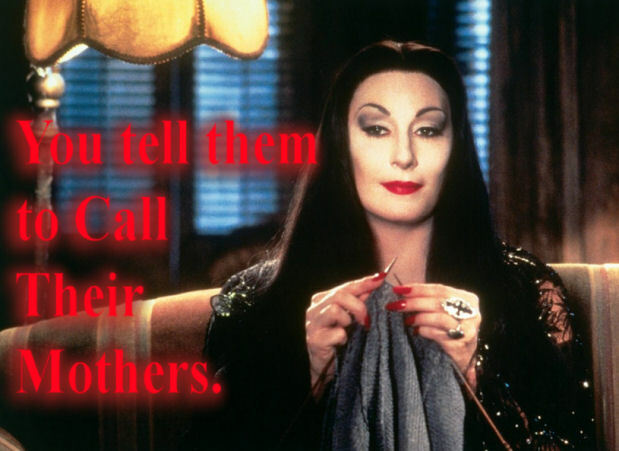 I First Noticed Pushy, Nosy dead people when I was a Psychic at Jillians Night Club. Once in a while an Ancestor would insist on saying hello and then proceed to tell the person, my client how to run their lives. After the dead person was done I always felt icky, and the advice was usually financial or marital. IN Our Collective past- Daughters have been sold as wives for cows and gold… Heirlooms kept for generations because of physical value (not necessarily sentimental), Multi Generational Nepotism and so on. Why did the Elders control, and look after their young with such force? Because they Accepted something we no longer do…. They KNEW they would be ReIncarnated Into the very same Bloodline, the next time around, and the time after that, until who knows when. 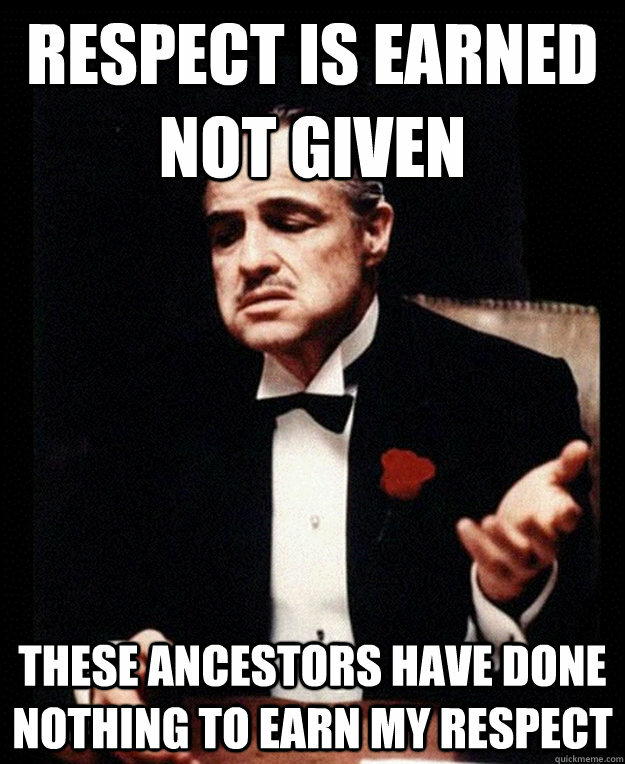 Controlling your Family bloodlines actions- business deals, marriages, proprieties, estates, stocks, bonds, gold on and on and on ~ It is Easy to see the Evidence in History- but impossible for the Non psychic to see what the Ancestors are Doing to Control From the After Life. They can Haunt Their Children like spooky ghosts- tormenting the living into doing the will of the dead. How sick is that? Pretty gross to feel I will tell you. The enormity of it is astounding… so many ‘souls’ trying to have the most toys at the end of the game… not the purpose of life or death at all… This again Is the Ego in the After Life. *The Breaking News from the Spirit World” ~ Those who are Currently Caught in a Ghost State are no longer allowed to Incarnate on planet Earth. For Centuries, since the fall of Consciousness, Souls took on a body, accrued karma, eventually developing what is now referred to as The Pain Body~ Karma following one from a past incarnation is basically a failed lesson that you must do over again. Having done many past life regressions, I have seen this for myself. I Believe The SHIFT into a Higher Dimension (crosses fingers) is Causing This NEW LAW in Heaven. One Must Deal with and Heal the “Pain Body” from the state of Death (astral) before taking on another Human Vessel. This seemed to really put the fear of God into the “ghosts” ~ So I predict the Hungry Ghost Ancestors will be trying Harder Than Ever to Interfere, or even Jump Into the Bodies of their living bloodline as a way of Trying to Clear their Karma…. this will not work to heal anyone. Yet I suppose it will be interesting to watch. http://realitysandwich.com/84778/lets_spread_word_wetiko/ Wetikos can psychopathically (and thus toxically) mimic the human personality perfectly. If it serves their agenda, they can be convincing beyond belief, making themselves out to be normal, caring, politically correct human beings. They are unable, however, to grasp emotionally the meaning implicit in the thoughts and feelings they are exhibiting. They lack insight into how they differ from others, for they do not differ from others as they see others. They are skillful at pretending love and devotion, as if they are imitating a person. Impersonating themselves, their existence is a true parody of life. They can’t distinguish between their mimicked (pseudo) responses of love, remorse, etc., and the genuinely felt responses of a healthy person. I begin to understand I am being asked questions… I begin to understand the questions are from dead people. This happened a lot during my later awakenings. I was lacking sleep, and not able to really take care of myself- so I was agitated and certainly not functional. I remember having a long time talking to Native American ancestors- they were just asking about my life, my history, my knowledge and really what did I like, and what did I not like. It felt like a long interview, I felt kidnapped by my ancestors. That same awakening I was used as a vessel by a spirit who knew how to ‘depart trapped souls’- the souls were Native Americans… this process was also done for my Grandmother. The voices of the dead- Not my ancestors, began to bother me… I allowed – I listened- because I wanted to know why this happened during awakenings. The vibration of these dead- is low, kind slow, mopey, whiney. It seems they come to me in groups- all asking the same questions, like a village mob with torches. This is not the way to approach a sensitive. The more I listened to them, the more I felt they were Blaming Me for their ignorance. Like just because I might know the way out I was responsible for putting them there in the first place. Demanding and vampiric. I remember telling the “ghosts” during a past awakening that I was not involved in their karma, I was not there to help them, it was not my problem, they were not my ancestors. Then it seemed they were ‘blaming me’ for my fathers Alcoholism… so I told them to go to an A.A. meeting. Now that I remember clearly- I found those ancestors- Ghosts- to be Bullies, harassing me, abusing me. No wonder I became agitated on top of not being able to sleep. In this state of Mind, with my free will on I was MUCH more prepared to deal with these nagging ghost consciousnesses. 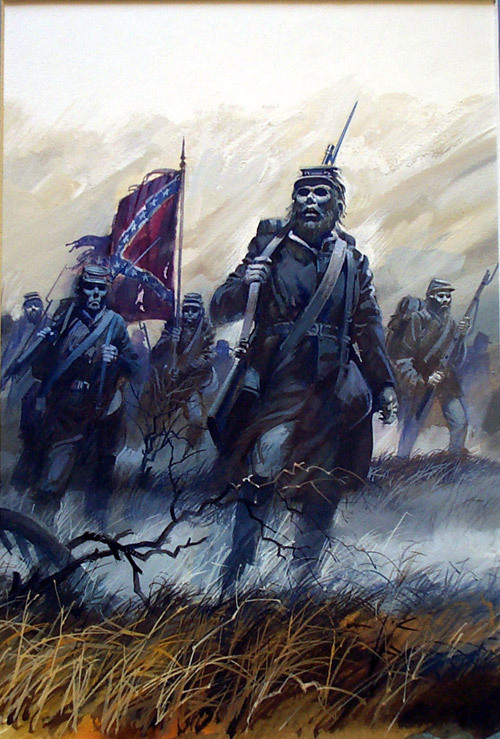 A decaying Confederate gunslinger type- approaches me, and tells me his story. Who are we mistaken?But you see, it’s not me, it’s not my family. I tell Hermes (My spiritual guide) I want to know about the Masons. Hermes holds up the Compass and tells me I want to know about the Egyptians. A long time ago before freemasonry- was a large order of Neophytes. I was having trouble grasping the concept of a cast system based upon one person being above another- Hermes tells me this is the distorted view I have seen and experienced. Hermes shows me that he talks to me through a square shaped cut out in my head (a black box?) and I feel “Boxy Brain” then I hear “Listen to your heart” by Taylor Dane, then from “Boxy Brain” to “Arty-y Heart”. I feel the creative essence of the red swirl as Hermes dips his finger into the “paint” of my heart center. The Love Light, The Neon seen in the night, the heart light is our creative pallet. The sweeter your vibration the more depth, color and expression. The symbolic plane is fruitful with energies creating “newer” bond, shifting and changing chemicals, mixing archetypes and stories. “Hunting for False Gods?” a voice comes in… interrupting. The wind is high, the vibe is high- notes call the dance. I see a hieroglyph cartouche, the top of the arc, knowledge. I feel my crown charka. I hear and feel a Tibetan bowl vibrating “Chong”. I see rippling energy as if a drop on the surface of water. My sight goes purple- this is neat- It’s like I have a purple with blue sparkle filter over my physical eyes. I am told the notes “G” “A” “C”. I see a white gold square going into a cut out of a golden square. Golden light emanating from the cut out square and the solid square fitting inside the cut out. I see Kali Ma (as if in iconography) possibly meaning the end of the lesson. Illuminati: Those who have gone before who come again. 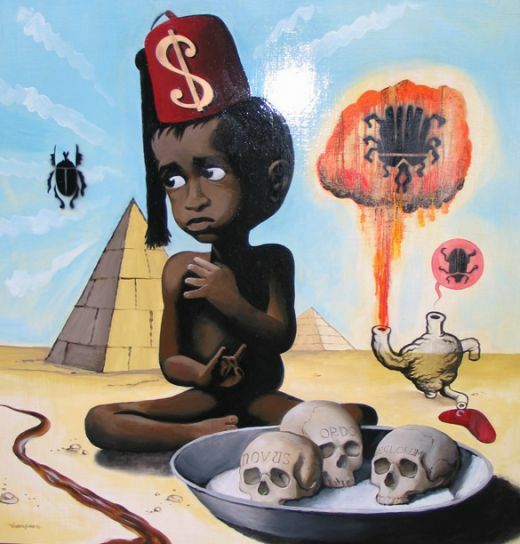 Again I see the Cartouche on my head as a crown of past knowledge, a script, a map, anointed, mystery schools. I see ruby jewels on my golden cartouche. Remember how you loved the story of Isis and Osiris, how they taught the people about cultivation and irrigation? You are doing this again, yet this time it is with the spirit. Many masters have evolved through the Isis Osiris path- Golden Pairs. I see an animal horn ornately decorated like a purse, filled with salt. Your “Gifts” are your tools. A vision began at this time. I was taken to the far edges of our “bubble” or universe, to the limit. I saw a ring of fire at the edge of a clear sphere in space. To understand/know beyond form, the limit the formless and then to bring that understanding back through to my third plane. I see me leaving the edge, coming back through outline drawings of the Buddha, back through the demons that protect the Dharma, back to self awareness. I see myself depicted in bright visionary art, my mind is open and my brain is exposed. The Buddha above me cracks and egg onto my brain. I think of going to the “edge” as the farmer (me) going to the chicken (universe) to collect the egg (idea). Your “Cartouche” is also an astrological calendar of events. Astrological Alignments “awaken” the “symbol” and activate its power in your life. You are the water bearer, you came to plant seeds for harvest in your very life time- this is your ego’s identification with the hero, or wonder woman. You have always respected the representation of the divine feminine. Your understanding of this energy leads you further along the alchemical path to creation. Beyond gender or form is the real truth or understanding. You blame yourself for recognizing the sacred in the profane, you cannot help it, this is second nature. You wish they would stop misrepresenting the energy. You feel you are a prude but this is very wise- understand them and yourself. Remember ignorance is on the way to bliss. Feel no burden or shame when you identify with greatness, allow it to be, manifest. Look at your poems- our words together (The Ultimate Duet, Spirit and You). The Cartouche also represents a totem or alignment. You wish to know past identities. Many Queens or Masters… this is a lack of understanding. The throne was a rightful chair for a rightful heir, no need for doubt. Your ego identity in this life struggles with doubt- a form of ambivalence developed within you during “hermiting” lives. Your outer persona shaped by the current life is in vast contrast to your spirit- but the “best” most harmonious of your ego- true genuine interest in the mysteries, that was your creation. This ego sense is easy to maintain along with the higher vibrations. To be in touch with ego and higher self and cosmic consciousness- All in One, All In. (My Higher Self speaks) Korinne you and I are already one. I ask- then how come I feel so “Egoy” sometimes? She says- Your Human, not physically immortal. This is just a growth process, a way to bring you back into balance with me. I feel my higher self is guiding me, but it is me that is truly learning. She mothers, teaches, nurtures and helps with the subtle energy bodies. She speak of herself- “I can speak through nature, intuition, instinct. You imagine Us as a collective above the heads of humans- conversing over you, like a Greek Chorus. This is not so. You are perceiving “reflections” of interaction reverberating on the levels above the third plane conversation. I ask- So what is it when you hear something wrong, but what we think we heard makes profound sense? She says- Over Talking, hearing the higher vibration of the interaction. Does Set understand, Pilot washed his hands of holy blood? Can Darkness feel one with All? Can Darkness trace it’s roots back to darkness? I see darkness as a limitation mechanism, a necessary component of friction. Set acted out of limitation, driven by a belief in his own limits, a belief in the animal/material world. So, Set as Ego and Osiris as Enlightened man. Ego, to subconscious, to cosmic conscious. To bring the enlightened king back from his role in the subconscious to the role of Enlightened human. Birth, ego programming, ego acting, ego understanding, rebirth, integration- resurrecting the light from within. For those far less integrated, Spiritual Fire (like Osiris cultivated) is as “Shocking” to see as real fire. Imagine if you had never seen fire before and one day someone shows it to you- you would have a large reaction. The reaction would be based on your level of integration. And the Dove flies free. Feel what LOVE is all about. As a follow up to my youtube video “Exploring The Mystic Art of the Tarot” I would like to share details of how the Tarot works and why it is an invaluable tool designed to enlighten and guide us. 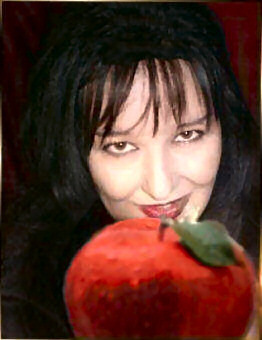 As a professional psychic I have worked at nightclubs, events and psychic fairs as well as on the phone and in my home. The diverse work background of locations, people and cultures has trained me to give advice with an open mind respectful of the clients religion, belief system and personal ethics. I have performed over ten thousand readings during my seventeen year career. I studied psychology along with developing my intuition. While healing my clients through Tarot readings, I was also learning about and healing my own insecurities and misdirection. Through having access to clients all over the world with all different kinds of issues and circumstances I have come to understand the commonality of universal life themes as described in the Tarot. Combining my natural intuition, empathy, spiritual guidance and the symbolism of the Tarot I see and feel the path of my client. I first ask for the full name and sign/birth date. I usually have a couple of Tarot decks available to choose from including the Alister Crowley Thoth deck and the Robin Wood Tarot. I ask the client to shuffle the cards and think about the past month of their life, how they feel now, and what they would like to see happen in the next three months. Then I ask them to think of three questions they would like to have answered. I instruct the client to see their thoughts like a movie in their head, mindful of their feelings as well. When the client is done shuffling I ask them to cut the cards once. I then lay out the cards in a traditional Celtic cross ten card spread. I rely on “helper” cards; additional cards I place on top of the primary ten to aid me explaining details. The first two cards speak of current situations, people and influences as well as challenges. The reading moves on the describe the past month, the month yet to come, up to three months into the future as well as mental, emotional and subconscious assessments. Often advice is given through mental images or intuitive communication with my spiritual guide. Speaking of dreams and interpretation is common as well. I encourage my clients to keep journals of their thoughts and dreams. I find a client that keeps tabs on themselves is easier to teach and guide. 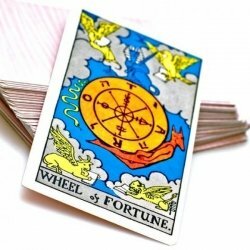 The Tarot readings reveal clear insight into your life, covering all major aspects and personal concerns. As a reader I am responsible for communicating your path, mirroring your inner self back to you and advise on goals and changes. Beyond behavior patterns, beyond family history, beyond chemical imbalances; the transpersonal psychology of the Tarot reaches all levels of your outer life and inner self. Compared to traditional psychology, spiritual counseling is personal, interactive, healing and most of all actionable. Glimpsing into the future allows you to prepare for or work on changing events; giving you creative control over your life. Utilizing a skilled spiritual counselor will help you to understand your self and change your life. Experience the Art of the Tarot through a private reading with Reverend Korinne. E-mail readings are only $40.00 via paypal. See occultpriestess.com for other services, prices and discounts. 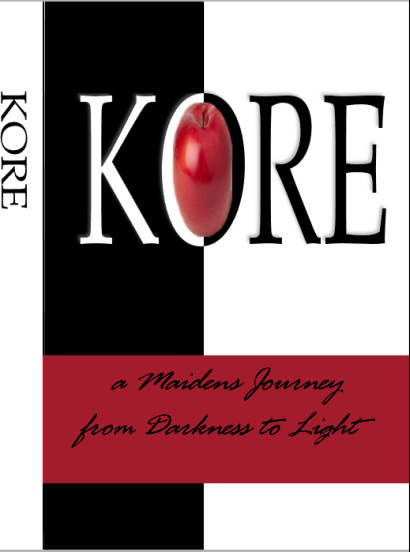 “I was deeply affected by my reading with Korinne. She was able to cut to the heart of every question I brought to the table and offered wise, valuable advice on how to proceed forward in my life. Because my reading with Korinne was done via email, I saved my reading, and I re-visit it every now and again, which brings even more insight into my unfolding path. Korinne is a gifted, knowledgeable spiritual adviser, and I would recommend her work to anyone who seeks guidance about any issues in life. Lady Midnight! 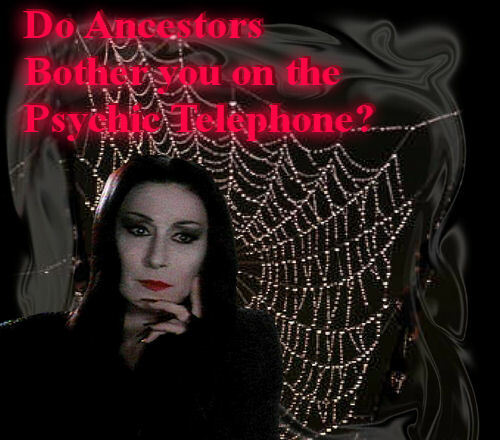 You are, hands down, the best psychic/reader/mystic/medium that i have ever experienced. In tune, in the moment, engaging, totally aware, completely thorough and sensitive, you blew us the freak away. Our epic session with you past like a trip through many dimensions. We both came away with a great deal more self-awareness, and wisdom. We cannot thank you enough nor recommend you enough to anyone wanting to delve into the deeper mysteries of existence! Can’t wait to see you again for more. Namaste!! !